We also invite you to join us for an Ashtanga Yoga retreat in the beautiful south of Crete in the month of October. This time of the year is the weather usually still warm and sunny. The sea invites with pleasant temperatures for a daily swim. 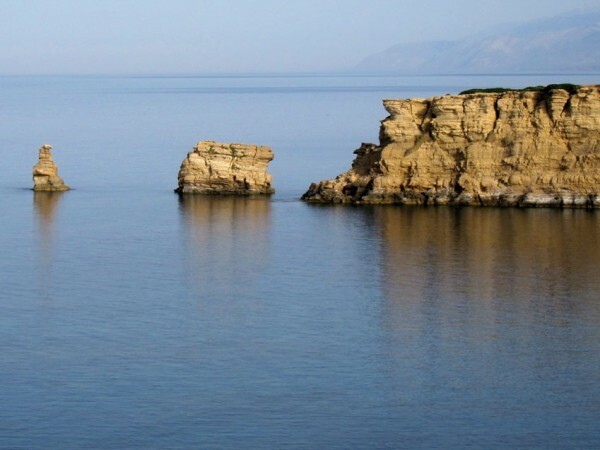 The retreat center is situated on a cliff above the beach of Triopetra. A little paradise with white sandy beaches and mountain blue water of the Libyan Sea. The area is away from the main tourist spots and famous for the wild beauty and the secluded beaches. 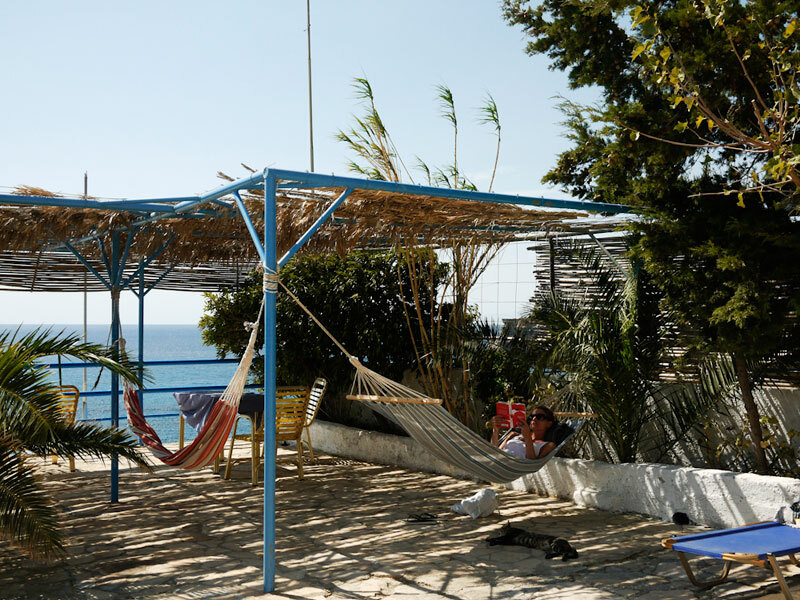 The guesthouse is a traditional Taverna, run by the same family for over 30 years. Pavlos´ place is renowned for its friendliness and its delicious vegeterian Cretan food. Triopetra is a remote place with special and strong energy where you can recharge on all levels. The strenght and beauty of this place is breathtaking and will recharge you on all levels. All levels of students are welcome to join the retreat. Previous experience in Ashtanga Yoga is required. Andrea is teaching Primary, Intermediate and Advanced A s.
One afternoon is free, which gives you the time to explore this beautiful island. There are amazing hikingtrails, hidden beaches and so much more beauty to explore. After you received a confirmation that a place is available, please transfer 300€ to finalize your reservation. The remaining cost has to be paid directly in Crete.